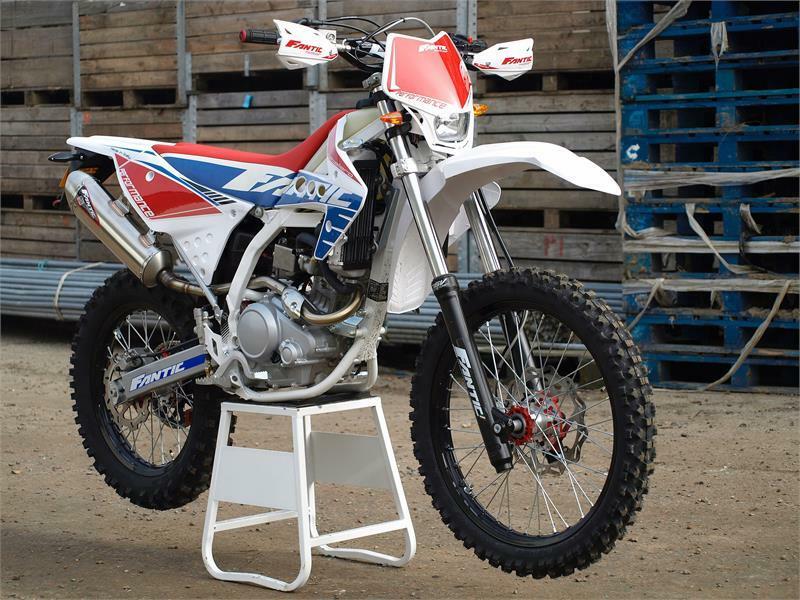 Fantic Motor has introduced a new Performance variant to its popular Motard and Enduro model ranges. The new Performance models utilise the same chrome-molybdenum perimeter frame and Yamaha Minarelli motors used in the existing Casa and Competition models, but are fitted with conventional forks and a steel swing arm in place of the USD forks and aluminium swing arm used on the up-spec models. The seat is also updated on the Performance models and the 50cc 2T Performance has an all-steel exhaust in place of the stainless steel pipe fitted to the 50cc Casa and Competition models. The revised specification Performance models are designed to push the Fantic range to a wider audience, providing competitive entry-level pricing points for the iconic brand. The 125 Performance Enduro and Motard models are supplied in learner-legal specification, but can be de-restricted to full power by an authorised dealer. According to Fantic, the 125 Enduro model answers the strong consumer and dealer demand for a truly off-road capable, attractively priced, fully road legal machine for green lane and trail riding use. Warranty on all Performance models is 2 years.